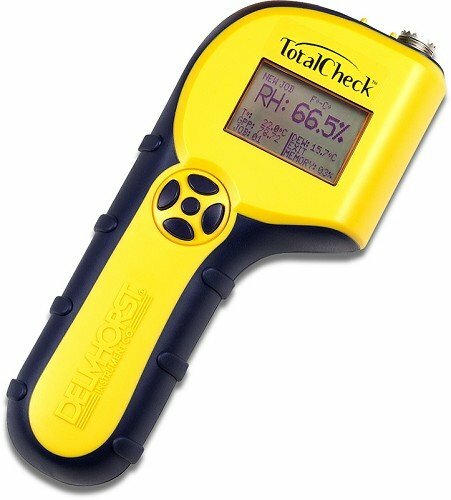 The TotalCheck three-in-one meter offers scan and pin moisture modes and a thermo-hygrometer that measures ambient Temperature and RH plus it calculates Dew point and GPP. 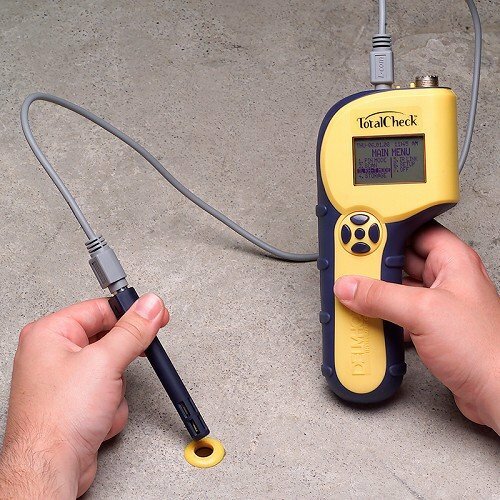 The RH sensor is removable and conforms to the ASTM F-2170 standard to determine if concrete floors have dried adequately before installing a floor covering. 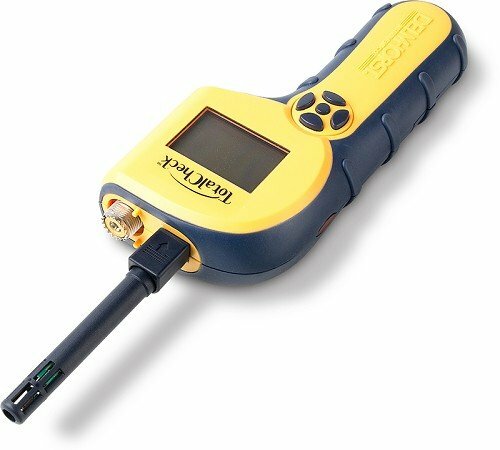 Features include a connector for external electrodes, an on-screen reading recall of up to 1400 stored readings, a date and time stamp for each stored reading, job groupings, infrared linking to PC or laptop, and application software for generating reports and managing data. 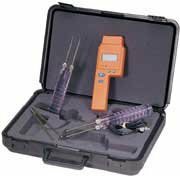 Comes complete with a RHT-S1 humidity sensor, carrying case, 26-ES electrode, and (10) #496 pins. Specifications Pin Mode : Wood Scale, 5%-60%; Sheetrock Scale, 0. 1% to 6%; Non-Wood Building Materials, 0-100 numerical reference scale. Scan Mode : 0-200 numerical reference scale. Temperature Range : -4 to +158°F/ -20 to +70°C. RH Range : 0-100%. Battery : one 9V. Warranty : 1 year from the manufacturer.